I SAT DOWN WITH MY 3-YEAR-OLD DAUGHTER WHO WAS PLAYING AT HE - ProudMummy.com the Web's Community for Mums. 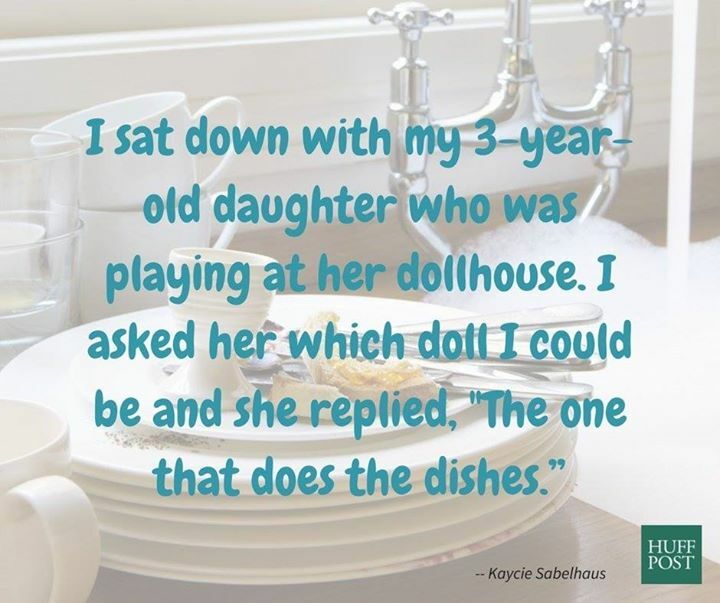 I SAT DOWN WITH MY 3-YEAR-OLD DAUGHTER WHO WAS PLAYING AT HER DOLLHOUSE. I ASKED HER WHICH DOLL I COULD BE AND SHE REPLIED, "THE ONE THAT DOES THE DISHES."